This side table is diligently handcrafted from the finest quality of Mango wood by the artisans of Saharanpur, India. 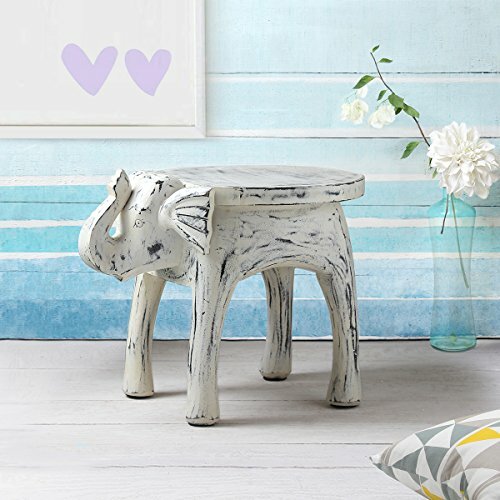 The eye-catching elephant carving gives the table a stunning look, ideal for serving your friends and guests. Its small and compact size allows you to place it in any room you wish, adding volumes of elegance to any corner. With a brilliant distressed finish, it makes for a wonderful addition to one's home, and can even be used to gift a dear friend or loved one. If you have any questions about this product by Store Indya, contact us by completing and submitting the form below. If you are looking for a specif part number, please include it with your message.